I just ate some fast food bought from MIX. 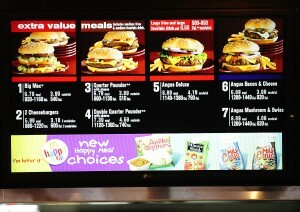 I think although the restaurant post the calorie list, it can not make a big influence in people’s decisions. Because people entering the fast-food restaurant have already decided to eat high calories food. So it is ineffective! I share you guys a link about that why many people knowing that fast food is unhealthy still eat fast food from New York Times. I feel like this study didn’t even consider the null hypothesis. One would think that, that anyone who really knows better, “knows” that those options of food really aren’t that good. As you mentioned it is a very small step on the right direction, however, I think that there are large issues that surround why people are forgoing healthier options. And those are variables that weren’t measured or accounted for. For instance, It is fast, cheap and easy…. all things most people need in their daily, and hectic live. Obviously if you could eat organic and grass fed beef that would be great, but plain and simple, many can’t afford it. Along with that, college students need something quick for their daily routine running from class to class with group projects to work on and so on. Also, the access to good food is harder than it is to get to as well. So the research showed good info, but I would have changed the theory of the question. Really good work! it was very interesting. This is a great post and very relevant to my personal life! I don’t know why we feel that we DESERVE a bad meal after a long, hard day but we find ourselves looking for that unhealthy treat or reward. I feel like the food you chose to eat reflects your personality. For instance, if someone eats a Kale and Quinoa salad and a green smoothie, they are viewed as very healthy, like they care a lot about their body. They may even be viewed as wealthier than their peers who cannot afford the $16 “meal”. When people think McDonalds, they think “obese people, low income, fast and easy”. These may all be true in stereo type, but like the Kale example, you don’t need to be rich to eat it. Likewise you don’t need to be poor to eat McDonalds or Taco Bell. This is a great article about someone who is very wealthy and how her food choices and the amount she spends on it reflects her Class in American society compared to those who cannot afford the organic food she can. After reading your blog post I definitely agree that making consumers more aware of the nutritional values of their fast food could and would be nothing but beneficial to the health of Americans, but I do not believe that a lack of education/knowledge surrounding nutritional information is our biggest problem. 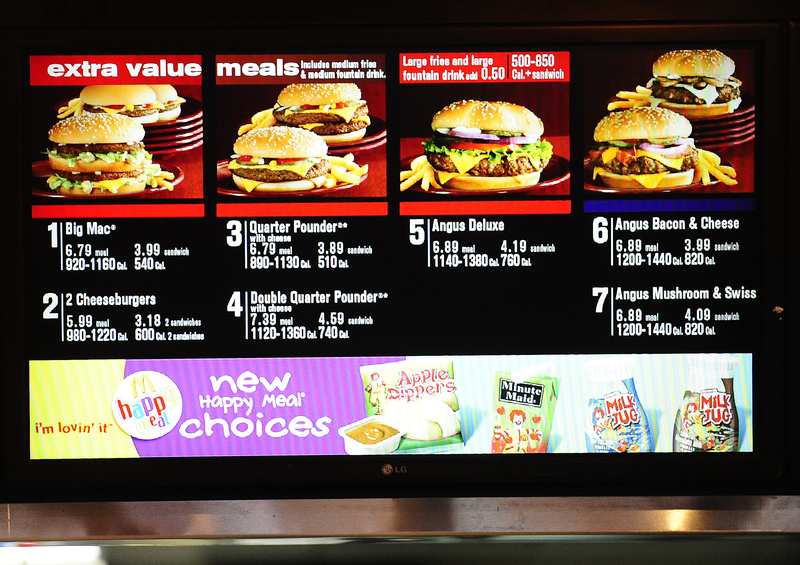 Could having caloric and fat values posted on the McDonald’s menu influence someone to order a chicken snack wrap rather than a Big Mac and fries? Absolutely, but like you said, a lifestyle change cannot be forced, it has to be welcomed. In the end, when an individual walks into a fast food restaurant he/she is aware of what they’re are getting themselves in to. Even young kids know that a McDonald’s meal is less healthy than grilled chicken and a salad. Yes, more visible nutritional values are a step in the right direction, but America’s fight against obesity would be more effective if people hit the gym and made conscious diet changes rather than opting for the 500-calorie McNuggets over the 600-calorie Quarter Pounder with cheese.